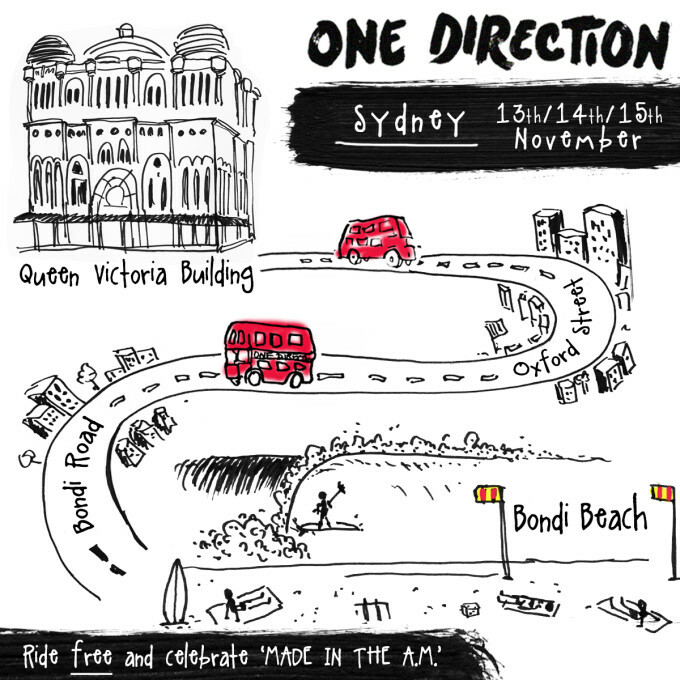 The boys from One Direction will celebrate the release of their new album ‘Made In The AM’ tomorrow by launching two free double decker buses; one each in Sydney and Melbourne. 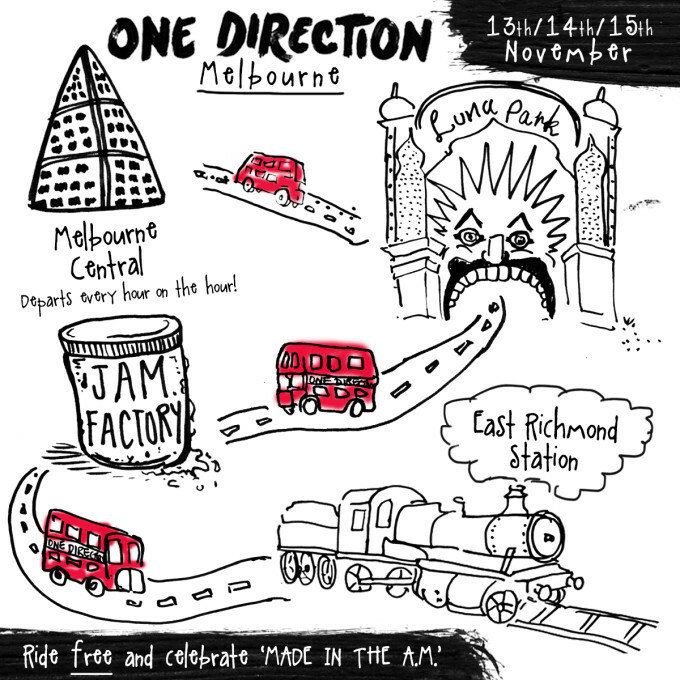 In operation this Friday, Saturday and Sunday only, the buses will shuttle between some of the cities’ most iconic landmarks, all while streaming the new One Direction album to keep passengers entertained. And there’ll also be exclusive One Direction merchandise available on-board. In Sydney, the bus will travel between the incredible Queen Victoria Building in the heart of the CBD, along Oxford Street and Bondi Road through to the spectacular Bondi Beach. In Melbourne, the bus loops from Melbourne Central in the CBD through to Luna Park in beachside St Kilda, around to the Jam Factory and to East Richmond Station. Buses will depart every hour on the hour from QVB and Melbourne Central from 9am this Friday, Saturday and Sunday.